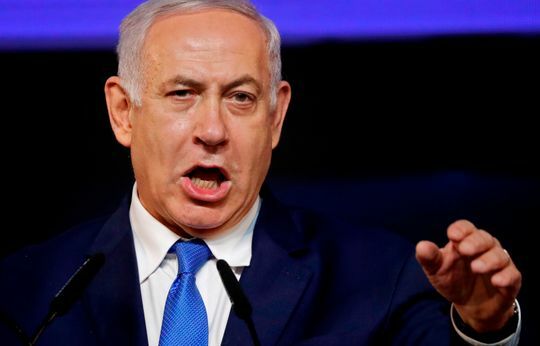 With his strongest competition conceded and the odds stacked in his favor, Benjamin Netanyahu is bound for re-election as Prime Minister of Israel. On Tuesday, parliamentary elections were held to determine whether Netanyahu would remain for another term. His main rival, Benny Gantz, provided a surprising challenge and both men initially claimed victory in a tight race. However, Netanyahu was deemed the winner by many major news outlets the morning after voting was held and Gantz eventually conceded. Netanyahu has led Israel for more than a decade and re-election will make him the country’s longest-serving leader. He is now fully poised for his fifth (fourth consecutive) term as prime minister. Israeli President Reuven Rivlin is anticipated to announce the decision in the coming week. Election day in Israel was not without controversy. Netanyahu’s right-wing Likud Party reportedly sent over a thousand activists with cameras — sometimes concealed — into polling places in Arab towns. The group claimed they only intended to collect evidence of voting abnormalities. Others perceived they were there to intimidate Arab voters. In response, election officials were asked to leave polls open an extra hour to accommodate anyone who was initially scared away in those towns. The prime minister has been criticized for supporting Jewish settlements in the West Bank, which was captured in 1967 and occupied by Israel ever since. It is historically significant to both Israelis and Palestinians. Recently, Netanyahu promised to annex those settlements into Israel in spite of any international disapproval. Viewed as an appeal to far-right voters, Palestinian leaders speculated the move would greatly stifle the creation of a Palestinian state. Saeb Erakat — chief Palestinian peace negotiator — tweeted that in re-electing Netanyahu in spite of his pledge, citizens “have said no to peace and yes to the occupation”. Netanyahu has a strengthening bond with President Trump which seems to be sustained — at least in part — by political favors. “Israel has never had a better friend than you,” Netanyahu told Trump last month. In December 2017, Trump made the controversial decision to recognize Jerusalem as the capital of Israel and subsequently move the U.S. embassy there. “Today, we finally acknowledge the obvious; that Jerusalem is Israel’s capital. This is nothing more or less than a recognition of reality. It is also the right thing to do,” Trump said at the time. The president ignored warnings from allies who were concerned that the move could be detrimental to prospects for peace between Israel and Palestine. At the time, there were hopes for Palestine to include part of the city as the capital of a future independent state. Palestinian President Mahmoud Abbas condemned Trump’s decision. “These procedures do also help in the extremist organizations to wage a religious war that would harm the entire region,” Abbas said. Netanyahu, however, welcomed Trump’s announcement and asked other countries to join him. “The President’s decision is an important step towards peace, for there is no peace that doesn’t include Jerusalem as the capital of the State of Israel,” Netanyahu announced. Critics argued that Trump was only acting to hastily fulfill a campaign promise and to side with Netanyahu — one of his closest foreign allies. Like the West Bank, Golan Heights was also captured and occupied by Israel beginning in 1967. 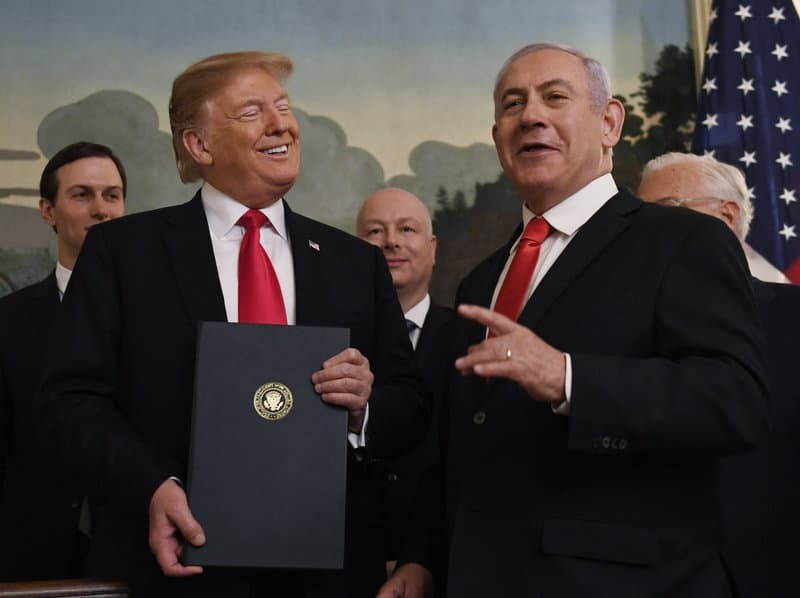 On March 25, Trump proclaimed, “the United States recognizes that the Golan Heights are part of the State of Israel”. Lebanese President Michel Aoun said the U.S. recognition undermines Lebanon’s right to eventually reclaim the territory. Nevertheless, Trump invited Netanyahu to the White House for the signing of his proclamation. On the eve of the election in Israel, Netanyahu tweeted that Trump had fulfilled a personal request and designated Iran’s Islamic Revolutionary Guard Corps as a foreign terrorist organization. Analysts speculated that the move by Trump was as an election gift, meant to help Netanyahu secure more votes. Netanyahu made his friendship with the American president a prevalent part of his re-election campaign. The prime minister currently faces the possibility of criminal charges that stem from bribery, fraud and breach of trust allegations. Netanyahu is alleged to have accepted gifts from foreign billionaires — including jewelry, cigars, and champagne. According to investigators, the prime minister supported a beneficial tax break for those billionaires in exchange. Additionally, Netanyahu is accused of offering to limit the circulation of one newspaper in exchange for more positive reports from another. He is also believed by investigators to have provided political favors to a friend who then provided favorable news coverage in return. Re-election will provide him with an obvious advantage in defeating these accusations, which he has dismissed as a political witch hunt.